Retreat! • Run Hard. Rest Well. “Dacha” is one of my favorite words. Have you ever heard it? It’s Russian. I was introduced to it in the town of Istra, Russia in January 2012, while speaking on the topics of rest and retreat at a conference for Christian camp leaders. Dacha is a “getaway” cottage—a place of retreat. The use of this word makes Russian faces light up and eyes dance. What word makes your eyes dance? Run Hard. Rest Well. is passionate about introducing people to the power and purpose of retreat—large group and personal. Do you know someone who could you use a getaway? Could you use a getaway? Looking for a Valentine gift idea? Anticipating the joy of spring? From today until February 14th, we are offering Vantage Point Gift Certificates for $49, a savings of $20. Vantage Point Retreats speak life to those running in the fast lane. Every year participants travel from Indiana, Michigan, Ohio, and Illinois to attend. The fee includes the retreat and the book Vantage Point: A New View of Rest, Rhythm and the Work of God. 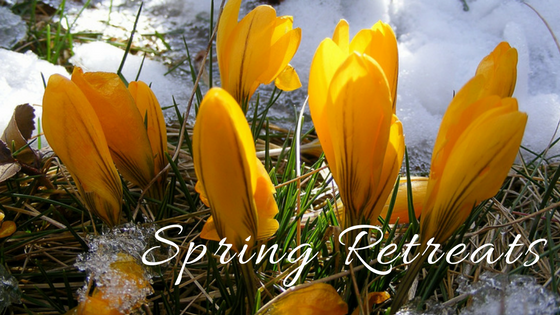 Gift certificates are available from February 5 until February 14 for only $49 and can be redeemed at a retreat this spring or fall. Retreat—The Pursuit of God off the beaten path. May the Lord pave a way!